Hatsune Miku -Project DIVA-: 39 Secrets~! Apparently I’ve missed the event, thanks to the fact that school was too exhausting and I had a 16 hour sleep last night. But fortunately, pKjd from moetron☆萌えトロン listed those 39 secrets revealed in the Yappa Asobina 09 event. Some of our forum members also went to 2ch and collected some information, especially Miyuki. And so, here’s the 39 secrets revealed on the event! 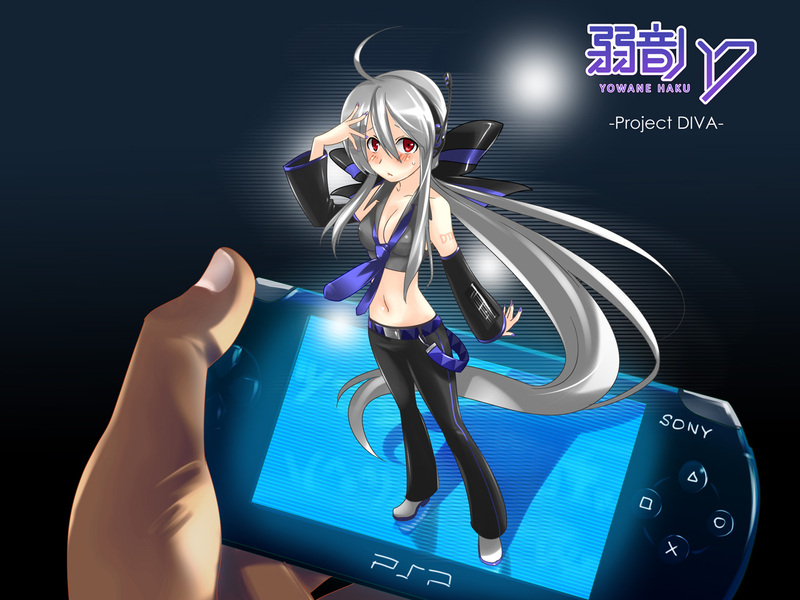 Official game title: 「Hatsune Miku -Project DIVA-」. On sale July 2nd, 2009. Box Art have been decided. There are 39 songs in the game. 7 songs are from Piapro users. New songs from Hata Aki and Kousaki Satoru are going to be in the game. Opening theme song have been completed: 「The secret garden 」. Opening movie have been made. New song from OSTER project are going to be in the game. 「Sakura no Ame」 by absorb are going to be in the game. 「Anata no Uta-hime」 by azuma are going to be in the game. 「Miku Miku kin ni go chuui♪」 by Hayaya are going to be in the game. 「The Disappearance of Hatsune Miku」 by cosMo@BousouP are going to be in the game. Most songs are going to be new remixes. Kagamine Rin/Len are appearing in the Rhythm game. 「Packaged」 PV would be in the game. 「Koi-suruVOC@LOID」 PV would be in the game. 「World is Mine」 PV would be in the game. Vibrant Miku 3D motion capture. Have fun with your favorite costume. There will be a rhythm game edit mode. It will be possible to edit your favorite MP3 data. Space Channel 5 costume announced. Megurine Luka is confirmed to be in the game. Akita Neru is confirmed to be in the game. Yowane Haku is confirmed to be in the game. Pre-order bonus is going to be a Hatsune Miku Nendoroid Puchi -Project DIVA- version. Same mistake as moetron on #17, kevin. The songs are gonna be new remixes of the original instead of the “from NewMix”. Pingback: Hatsune Miku -Project DIVA- PSP ~ 39 Secrets!